Pests are something we can’t bear to think about. When those pests are rodents - well, that’s a whole new level of horror! You think it could never happen to your own home, and least of all your attic. But before you call your real estate agent or skip town entirely, take control and reclaim your attic by following these 6 rodent infestation tips. When pests have invaded your home calling a professional pest controll service should always be your first point of call. There are times for rolling up your sleeves for a DIY job, but this is not one of those times. Failure to act quickly will give your rodents time to reproduce and you will feel less comfortable and clean in your own home. Before you have a pest team out, make sure you accurately confirm the rodent infestation so that you are not wasting your time or anyone else’s. In addition to removing the problem at hand, your pest team will actually leave behind certain measure which will reduce your chance of another infestation. Mice and rats and bugs - oh my! 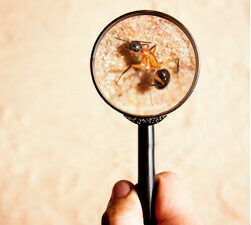 Unfortunately, when it comes to pest control it’s never a one-size-fits-all scenario. 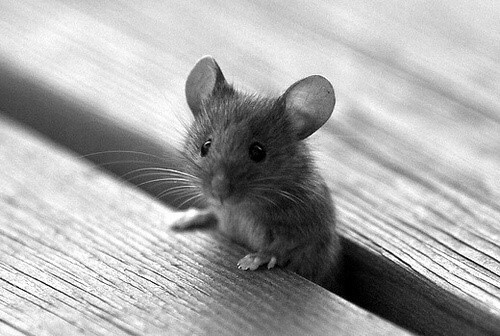 Each pest is unique and as such, extermination strategies are unique so it is incredibly important to know if you are dealing with mice or rats so that you can correctly remove them. The best way to identify your pest is by studying their droppings . I’m sorry, but it is. Now we appreciate you can’t trade notes with friends, as rodent droppings is not a popular table topic, so do some research so you know what you are dealing with and can act or advise accordingly. Owning a home is fantastic, but what no one talks about is all the pests that are plotting their entry into your happy place. Once you have had the pest removal team out, have a walk around the house, a climb up the ladder and audit any holes or entry points could save you the next rodent outbreak. This doesn’t need to be an expensive exercise, you can temporarily patch up holes and entry points with plywood, hardening foam or even wood off-cuts. They had to get in somehow so find out where and make sure to rodent-proof it. Keeping your trash as far from your house as possible is hardly a bad idea. Food scraps and food packaging are beckoning those rodents out of their hidey holes and into your attic. Make a habit of keeping the bins an extra 20 metres away and there should be no reason for any pests to approach your home. It’s also an idea to start putting meat scraps into a separate plastic bag before you put in your kitchen bin, this will also minimise other bug pests in your kitchen. Ok, does anyone need an excuse to get a pet? No. But many people underestimate the role their pets play in pest control. Pets scare off pests , and the circle of life continues. Animal to animal, they are aware of each others presence and fortunately (..hopefully) your cat or dog is bigger and excited to take on an adversary. Make a habit of walking your pet around the attic every month or so so claim their territory and heed warning to any unwelcome residents. Once bitten twice shy. And while I pray you haven’t actually been bitten by a rodent, you should make a proactive effort to avoid future infestations. Rat sack is your next best friend. Hold your gasps because we are not talking about Mickey Mouse, we are talking about a pest that carries disease and will spread down from the attic into every single room in your home. If the idea of rat sack is causing you stress, then you may prefer mouse traps. Not all are fatal but most are effective. Place several more than you think you need (you are most certainly in denial) and check on them daily so you don’t have the dead or trapped mice stinking up the attic and ruining your odds at catching more. Rodent infestations are just about as bad as it gets. So remember to be savvy in your prevention techniques and call in the experts to exterminate your problem as soon as you discover it. However, if you feel out of your depth, contact the professionals at Dawson's Australia today for a wide variety of experienced pest-prevention and removal services.